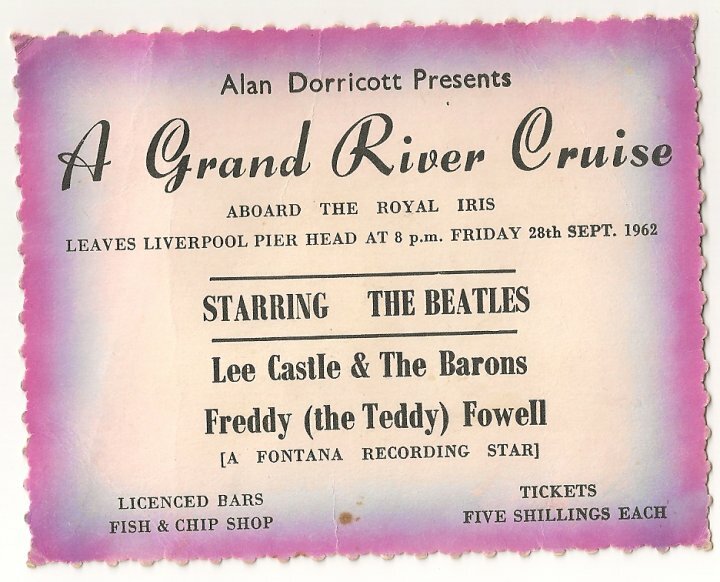 Liverpool Beatles Auction: Ticket to Float. 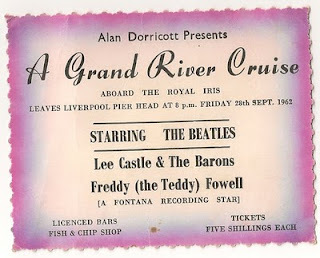 On 28th September 1962 The Beatles played their third and last River boat Shuffle on the Royal Iris. This is an unused ticket for that show. On the bill is Freddy (the Teddy) Fowell who became better know as Freddie Starr.